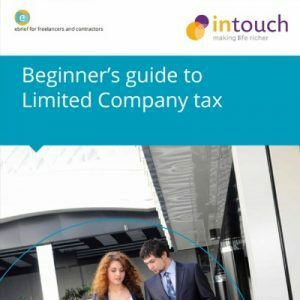 If you are thinking about becoming a limited company contractor or you already run your own company, you will need to consider the different taxes you’ll encounter. Tax seems complex, but here at Intouch Accounting, the personal online accounting adviser for contractors and freelancers, we can help you understand what each tax is, how it works and what the due dates are. Let’s start by looking at your position as an individual….. Always keep these four separate by making different transfers from your company account to your personal account for each one. It helps to show you’re thinking like a business if HMRC ever look, and it makes it easier to trace everything. If you simply withdraw lump sums of cash each month and expect it all “to be sorted out” at year end then you’re not only making life difficult for yourself and your accountant, but also potentially missing out on tax planning opportunities as wages and dividends cannot be backdated. Net wages (being the amount due after tax and national insurance) are usually paid to you monthly. Most accountants will discuss the level of wage you wish to take at the start of each tax year, and they will then set it up for you a year in advance so that you know what to expect. It is common to set a wage level that is quite low as being a contractor you can never be entirely sure that future profits will be available to cover a higher salary. If the company makes a profit then you can choose to pay yourself a bonus at a later date, and this can be in the form of either additional salary or a dividend. Most contractors choose to pay a dividend as its more tax efficient. Expenses are amounts you reclaim from your employer for costs incurred and paid for personally. Some of these amounts may be business costs, in which case there are no tax implications, but some may be personal costs or be seen as dual purpose (benefiting you personally as well as being used for business). If they are personal then they will need to be declared to HMRC and you may pay some personal tax on them. To keep things simple and avoid any tax implications we recommend you only claim expenses that are wholly and exclusively for the purposes of the trade. Dividends are not a deduction from your company profit, but are what you can do with the profit after it’s been taxed. Dividends are paid in addition to the salary you receive as an employee, and are a reward for your investment in the company as a shareholder. You must be a shareholder to receive a dividend, dividends must be paid out in proportion to shares held (so if you hold 50% and your spouse holds 50% you must ensure all dividends are paid equally) and you must declare any dividends you receive on your tax return each year. As a director of the company you must prepare a dividend voucher each time a dividend is declared and paid. Your accountant should be able to provide an easy to use template and offer guidance on how to complete it. Then you simply transfer the cash to the shareholder’s personal bank accounts. Sometimes the amount of dividends due to the shareholder are not “paid over” in cash but offset against amounts already taken out of the company bank account during the year that do not represent cash for wages or re-claimed expenses. In other words they are used to eliminate a loan. From a tax point of view dividends are effectively tax free up to the higher rate band, which is what makes them so attractive, and then taxed at 25% up to the additional rate band. The higher rate band is £41,450, but be careful as that’s not the amount you can physically withdraw in dividends as there are other factors to consider. First you must add up any other income you’ve received in the tax year, such as salary and bank interest, and then “gross up” your dividends (you have to increase the value of the actual cash received by a fixed amount set by HMRC to make the tax calculations correct). To do this is easy, you just multiply the amount you’ve taken by 10/9 so £10,000 becomes £11,111. If the higher rate band is £41,450 and your salary is £12,000 that leaves £29,450 of your basic rate band remaining. £29,450 x 9/10 = £26,505 net dividends (being the amount you can physically take in cash). If you take £27,505 then you have gone into higher rates by £1,000 and can expect a tax bill of £250. This extra tax will be payable in the January following the end of the tax year – so anything paid up to 05/04/2014 will be due by 31/01/2015. There is no taxable benefit if you pay interest on this loan from the company at 4% or more. Any loans outstanding at the balance sheet date (company year-end) have to be disclosed in the accounts and on the company tax return. If they are not repaid within 9 months of the year end then the company will pay extra Corporation Tax of 25% of the loan value. This is because HMRC treat the loan as if a payment of salary or dividend had been made instead, until the loan is repaid. This extra 25% tax is repaid to the company by HMRC when you repay the loan to the company. You should avoid repaying a loan and then “reborrowing” the same or a similar amount again soon afterwards as it’s an obvious avoidance tactic HMRC call bed & breakfasting. They will see through it and tax it as if it had never been repaid. A loan should only ever be considered as a short term measure as it does need to be repaid to the company, and it’s far too easy to get into difficulty when you borrow company funds and cannot afford to pay them back. You cannot take a loan and just forget to pay it back, or write it off as a bad debt without there being further tax implications! Now let’s turn our attention to the company itself. A company is a separate legal entity, and as such it has taxes that it must pay on its own transactions. Corporation Tax is payable on company profits, which in simple terms is the excess of income over allowable costs. Corporation Tax is due 9 months and one day after the end of each accounting period, so if your company year end is 31/12/2014 the Corporation Tax will be due to HMRC by 01/10/2015. Also note that it is only retained profit that is available to declare as a dividend. We think the easiest way to ensure you always have enough for tax is to set up a second business account, and each time you receive payment for an invoice transfer across the VAT element plus 20% of the net value. This will ensure the savings account always has enough funds to cover Corporation Tax, VAT and PAYE. You also then know you can spend anything left in your current account, including paying it out as a dividend. VAT is a tax charged on goods and services by traders who are required to register if they have turnover above a certain provided limit – currently £78,000. If you are VAT registered you must charge an additional 20% on all invoices (which are subject to VAT), and then pay that 20% over to HMRC. You can however deduct the amount of any VAT that other traders have charged to your company, so in effect you usually end up paying slightly less. The company is no better or worse off overall. The idea is that you’re simply a VAT collection agent for HMRC. However there is a simplified VAT scheme available that many contractors find beneficial, it’s called the Flat Rate Scheme. You can register voluntarily below £78,000 and up to £225,000. The scheme works by requiring that your company charge 20% VaT to clients as normal, but then allowing you to give a lower flat rate percentage of the gross invoice value to HMRC (for IT Contractors this is 14.5%). This is a simple attempt to arrive at a fair solution without the need for actual calculations. So, you have invoiced £2,000 but only paid £1,740 to HMRC. Your company gets to keep the surplus of £260 which compensates you for not being able to reclaim the VAT on most purchases when using this scheme, which most contractors don’t incur much of anyway. The exception is that you can still claim the input VAT on a capital asset costing over £2,000. The scheme won’t be suitable for everyone, especially if you have foreign sales. 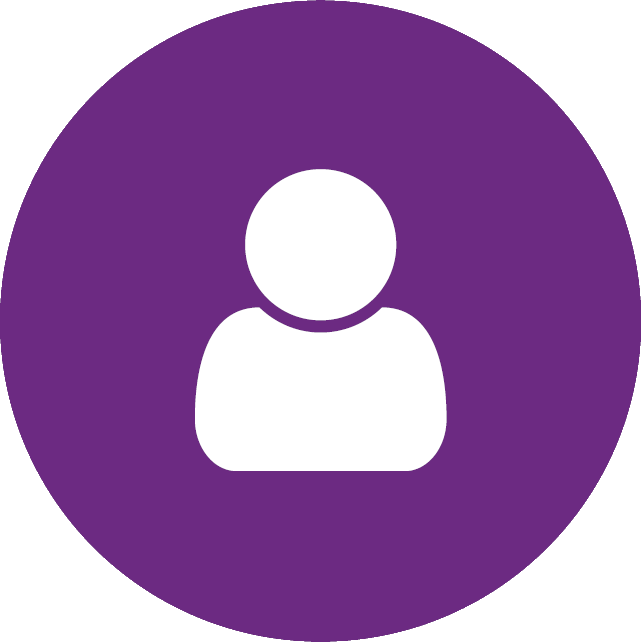 The PAYE (Pay As You Earn) system is the way that HMRC collect the tax and National Insurance Contributions that are deducted from total employee wages. Once these taxes are deducted from total wages it leaves the net wages you take home. The company also has to pay Employer’s National Insurance on total wages. For most companies, every 3 months, the company has to pay both of these elements of tax to HMRC. Your accountant should handle the monthly reporting requirements to HMRC, known as RTI (Real Time Information), and simply let you know the payment dates and the amounts your company needs to pay to HMRC. At the end of each tax year, being 5th April, your company will then need to make several returns to HMRC to let them know who has been paid what. The P35 & P60 are a summary of wages paid and the P11D is a summary of any taxable benefits such as company cars, medical insurance, interest free loans etc. Keep hold of these as you’ll need them in order to complete your personal tax return each year. If there are any taxable benefits on your P11D then a further company National Insurance liability may arise in July, known as Class 1a National Insurance. IR35 can be a game changer when it comes to wages and dividends. If you’re deemed to be inside of IR35 then you have to take 95% of your contract income as salary, less several key expenses, thus greatly reducing the amount of profit that will be left in the company and available to withdraw as a dividend. Our next guide will walk you through how the IR35 salary is calculated, and provide some tips on how to keep the associated PAYE to a minimum.